Research shows that in Massachusetts today about 1 in 8 people are currently struggling with hunger. Many of these individuals are also battling homelessness. Without access to cooking facilities or proper housing, many homeless individuals rely on community centers for support. For many folks at Life Connection Center, hunger and homelessness are common parts of everyday life. Three days a week LCC offers a complimentary hot, healthy meal and a safe place to sit and eat with friends. 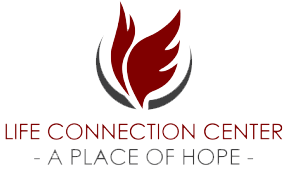 Life Connection Center is not a food pantry but rather a place where those in need can come for a while, get out of the heat or cold and enjoy a healthy meal with people that care. In 2016, Life Connection Center provided over 18,000 meals to Lowell's most vulnerable population while still only serving three days a week. Every, Monday Tuesday and and Wednesday: 12pm - 2pm Complimentary meal for Middlesex County Adults.